At The Law Offices of Craig Renetzky, a Southern California criminal defense law firm, We protect the rights and freedom of young people, negotiating with the appropriate authorities to try to prevent the child from being treated as an adult. If necessary, we then represent the child in juvenile court, where a juvenile can still be held in custody until they reach adulthood. 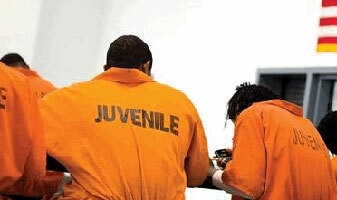 In fact, some juvenile crimes are treated more harshly than if the crime had been committed by an adult. At every stage of a juvenile case, we aggressively, compassionately represent our young clients; applying my decades of experience to find creative ways to solve problems. At The Law Offices of Craig Renetzky, we are not only interested in the facts of the case, we counsel the juvenile clients in an attempt to catch any problems before they become problems in court. We are concerned with our clients’ grades in school as well as their attendance, since that is what the Juvenile court is concerned with. If necessary, counselors are brought in to assess the client and determine if there is any reason for a certain behavior. We always approach the authorities with rehabilitation options, attempting to avoid our clients’ incarceration. We also use other strategies learned from years of criminal defense practice to mitigate sentencing. One of the things we do best at The Law Offices of Craig Renetzky is listen. Young people often feel that no one will listen to them, especially not a stuffy lawyer. We have had many years of experience working with juveniles and always give them and their legal cases the attention they deserve. As parents and grandparents ourselves, we are keenly aware of family dynamics and how they play a role in the proper representation of juvenile clients. It is our job and goal to differentiate your child from the others at the Juvenile court, thereby giving your son or daughter the best chance to succeed. If a young person in your family has been charged with or is being investigated for a juvenile crime, please contact us. It is critical that your young loved one get help from an attorney immediately.